ONE of Noosa's environmental litmus tests lapsed late last year due to lack of funding at a time when indicators were showing this waterway testing was never more needed. Noosa Integrated Catchment Association's WaterWatch ceased in October last year according to the group's annual report at a time when the poor state of Eenie Creek was raising ongoing concerns. 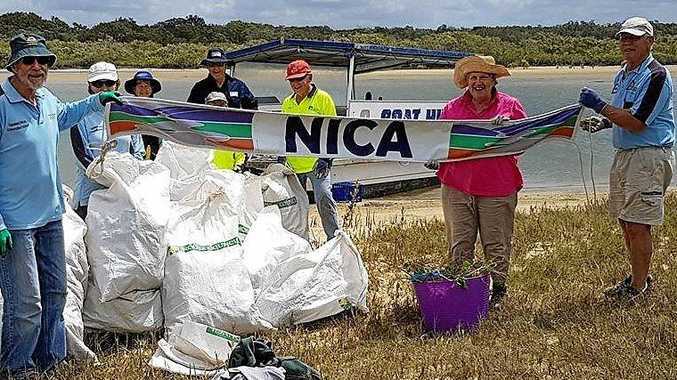 NICA program spokesman Bruce McConkey Water said testing has regularly been conducted at eight sites along the Noosa River from Weyba Creek up to Tronsons Canal "to gather historic data and raise awareness about water quality issues". "Unfortunately the progam has been terminated since the withdrawal of NDLC (Noosa and District Land Care) in June due to funding issues," Mr McConkey said. "Testing has been monthly through the year, using three volunteers per trip. Parameters monitored are water temperature, pH, conductivity, salinity, turbidity, and dissolved oxygen content, while general visual observations, for example water appearance or floating matter are also noted," he said. NICA requires a new project arrangement with Noosa Council to "ensure continuity of recordings which are of value to organisations responsible for management of waterway quality and improvement"
"Past data has been analysed and forwarded to NSC (council), showing that in general water quality of the Noosa River system is not far from compliance with Queensland Government guidelines," Mr McConkey said. "There are warning signs from the data obtained from the tributary creeks which indicate that ongoing monitoring of those sites and greater control of those streams would be prudent. "The poor water quality at Eenie Creek indicates that urgent remedial measures are required there to remove pollutants and to re-oxygenate the water." "It also indicates that a schedule of testing stormwater drain outlets should be revived. "Retention of a WaterWatch program is recommended, though modified from previous work." Mr McConkey said suggested changes include the addition of sites in tributary creeks to more accurately identify and remediate potential pollution sources. "Trial introduction of biological testing should be included," he said. NICA also weeds a sand island at the Frying Pan which is a bird nesting and resting site. Last year volunteers visited between April and September with 40 weeders on each visit in June, August and September. They removed about 30 bags of corky passion vine, cobblers pegs, gloriosa lily, sea rocket, groundsel Singapore daisy and asparagus fern thanks to continuing support from Noosa Council and O Boats.